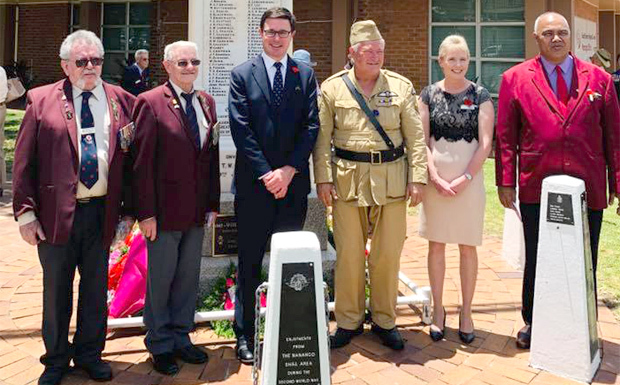 There have been special events held in almost every South Burnett town during these four years of remembrance. All these commemorations culminated at the weekend with the Centenary of the Armistice. Exactly 100 years ago, the documents that finally halted the shelling were signed in a railway carriage in the Forest of Compiègne, about 60km north of Paris. World leaders gathered in Paris and London at the weekend to mark this anniversary with much pomp and ceremony. 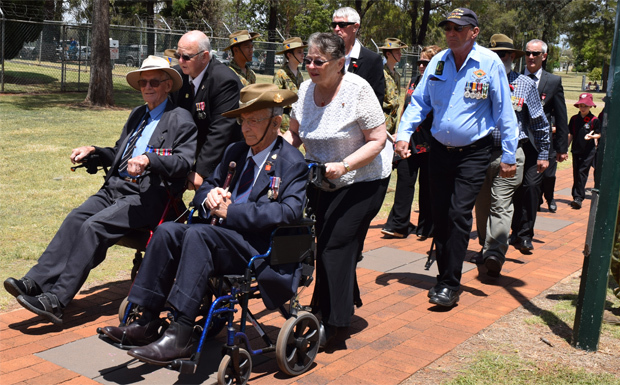 Blackbutt marked this year’s Remembrance Day with three activities over the weekend. 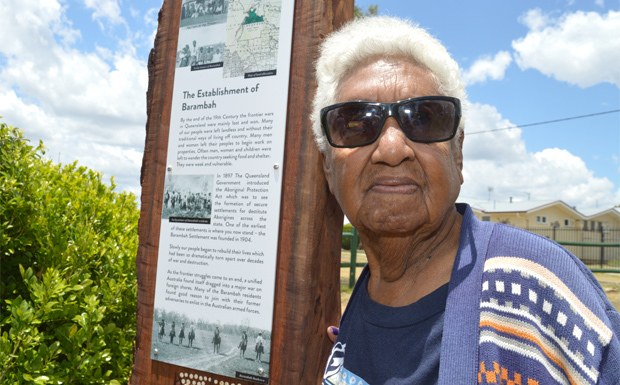 On Saturday, the town staged a Country Fair in the area between Nukku Nook and the Blackbutt Memorial Hall which kicked off at 8:00am and lasted until late afternoon. The Fair allowed residents and visitors to browse an assortment of market stalls. 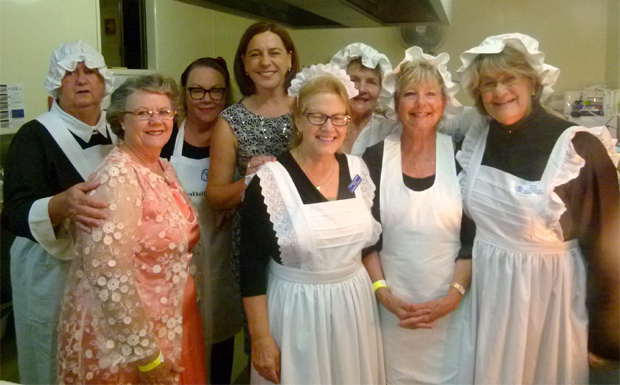 Later that night, attention turned to the Blackbutt Memorial Hall where an Armistice Centenary Ball drew an estimated crowd of 200. 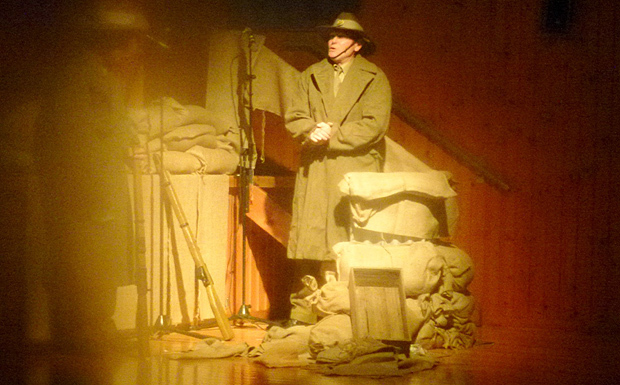 The hall was decorated with posters and flags and the front of the stage was covered with sandbags to resemble a trench. Guests enjoyed dinner, dancing and live entertainment. 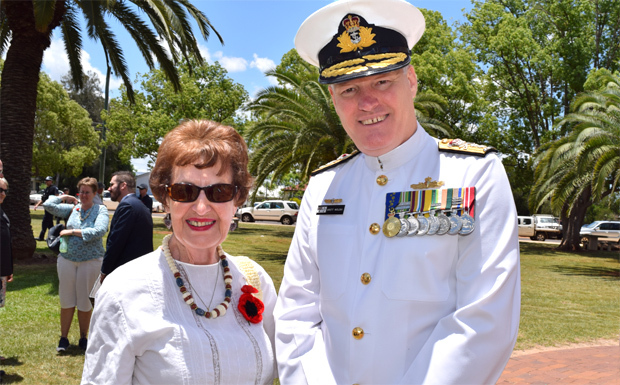 On Sunday, the town marked Remembrance Day with a formal ceremony at the Blackbutt War Memorial in Coulson Street. Members of the public laid wreaths and paused to remember the sacrifices made by the volunteers who enlisted to fight in “the war to end all wars”. 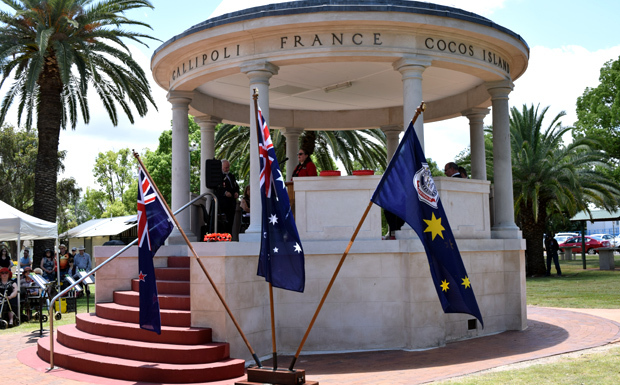 At Cherbourg, a small group of local residents and visitors in town for “Golden Oldies” gathered at the Anzac Memorial to observe a minute’s silence at 11:00am. Pastor Albert Bowie, from Brisbane, led the service, praying for those who have gone before, and their families today. “Never forget what they have done,” he said. “My heroes are on the wall. They fought for us so we can have a lovely community here today,” he said. 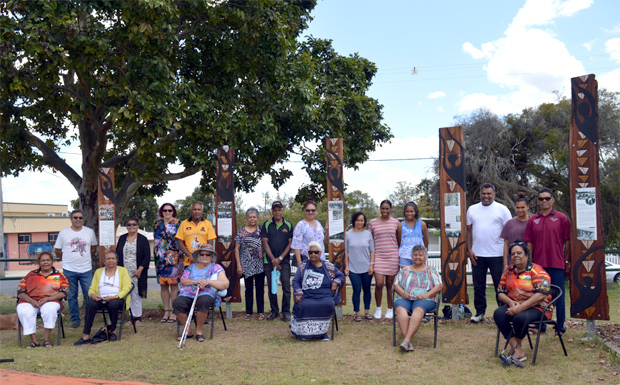 The service was an opportunity for residents to inspect the new Poles which have been erected near the memorial, crafted by Robert ‘Rocko’ Langton. 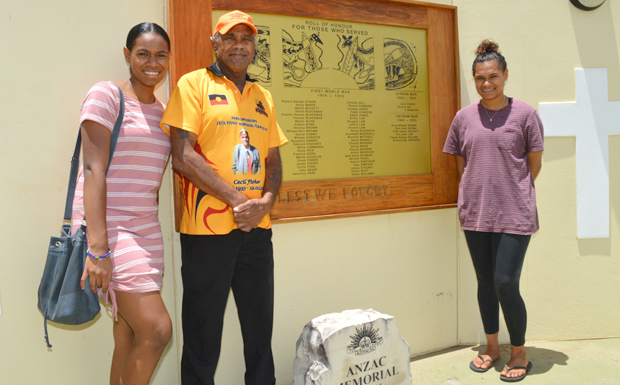 A new gate has also be erected at the entry to the area, remembering former resident, the late Bill Turner, whose vision led to the establishment of the war memorial. 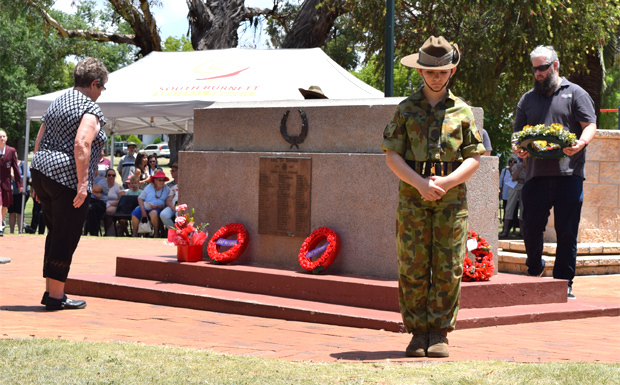 Kingaroy held its Remembrance Day service at Memorial Park, attracting a crowd of several hundred onlookers. The morning’s commemorations began with a march from the former croquet field to the Rotunda, escorted by piper Ross Page and flag-bearers. Veterans Doug Farmer OAM and Warren Cockburn OAM led the rest of the parade which also included students from the Taabinga State School Recorder Ensemble. 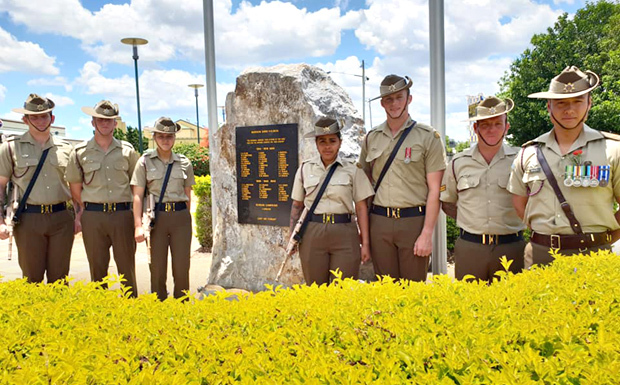 After a Catafalque Party from Wondai’s 135 Army Cadet Unit had formed, Kingaroy-Memerambi RSL president Don Davey opened the ceremony. 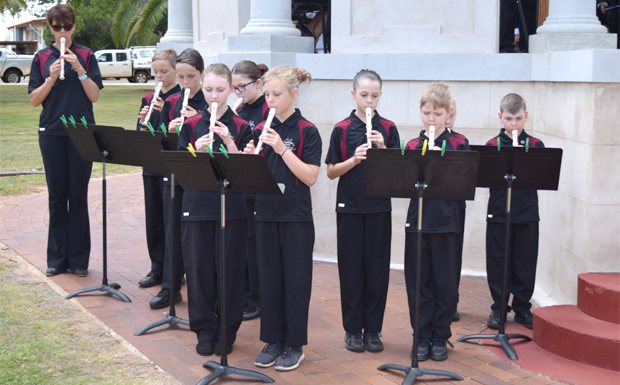 Ross Page played the Lament and Taabinga State School students played Amazing Grace before guest speaker Rear Admiral Brett Wolski AM took to the podium to deliver this year’s address. 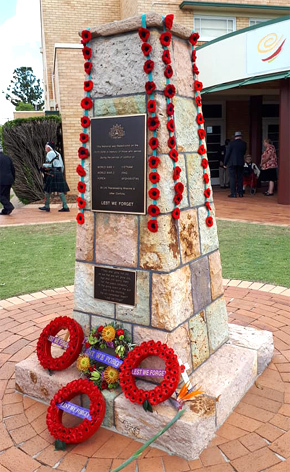 Rear Admiral Wolski said 51 people from the Kingaroy district had enlisted to fight, and they suffered the same horrendous rate of casualties as volunteers from other Australian towns. 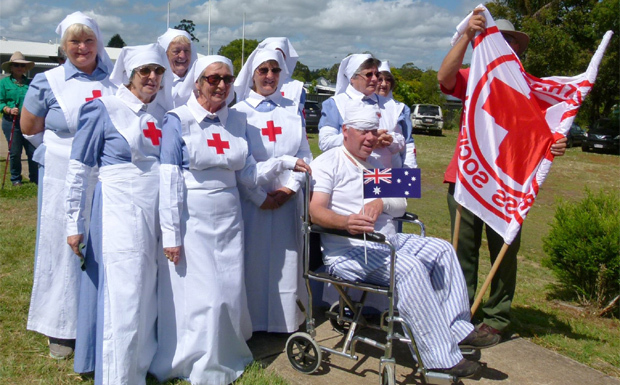 The effects of WWI were so terrible, he said, that they were still being felt in Australia decades after the war ended. 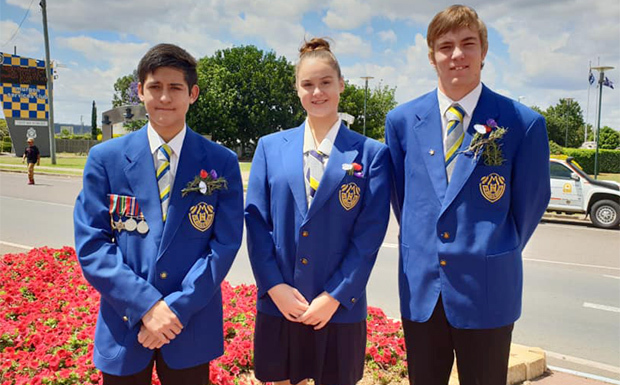 Mr Cockburn delivered The Ode and Matt Phillips, from Kingaroy State High School, played The Last Post before the minute’s silence and Reveille. Rev Dr David Ferguson, from Kingaroy’s Uniting Church, then offered the Closing Prayer and Benediction before wreaths were laid on the Catafalque and the service concluded. 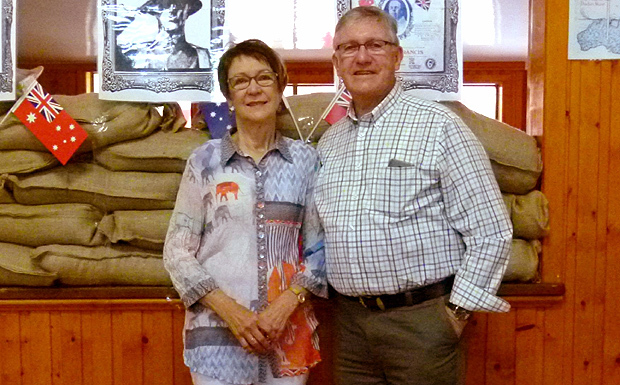 Afterwards, guests and veterans adjourned to the Kingaroy RSL for refreshments. 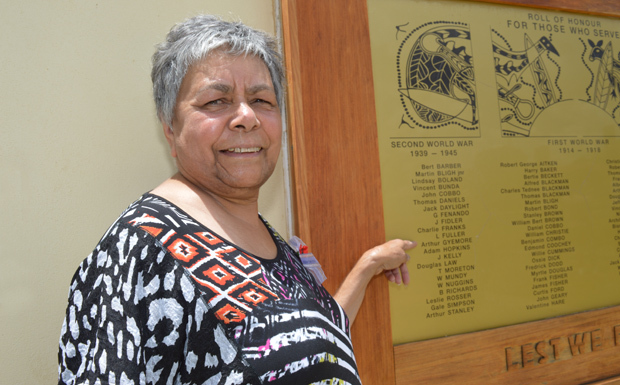 Murgon’s Armistice Centenary commemorations began on Saturday night with a community dinner at the Murgon RSL Club. 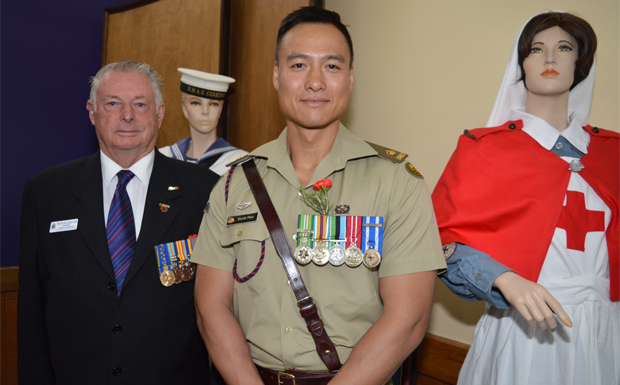 Murgon Sub-Branch president Trevor Williamson OAM said 117 people listened to guest speaker Major Huynh Phan, officer-in-charge of the 26th Transport Squadron at Amberley Air Base. 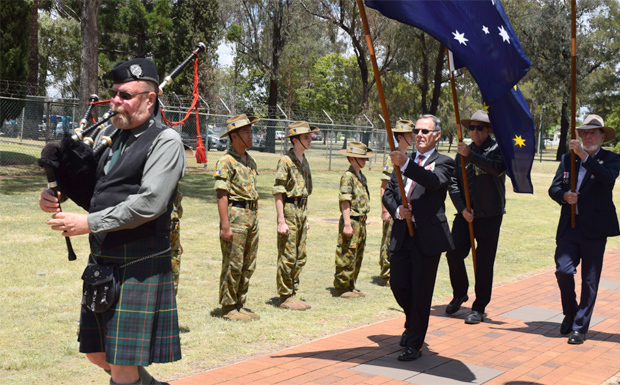 Major Phan, who arrived in Australia as a child with his refugee parents, also spoke at the Sunday morning commemoration service at the Murgon monument while soldiers from his squadron mounted a guard. The service followed a short parade along Lamb Street. 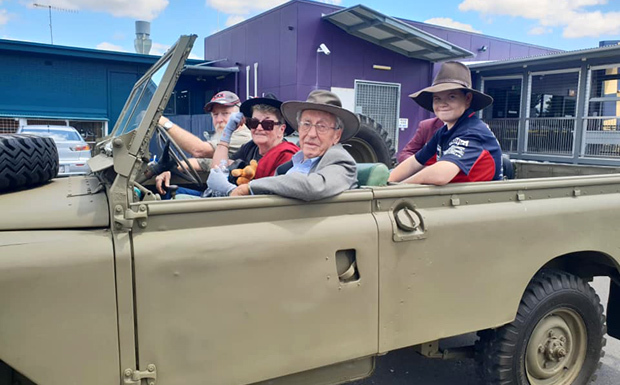 After the services, invited guests retired to the Murgon RSL Club to enjoy lunch. 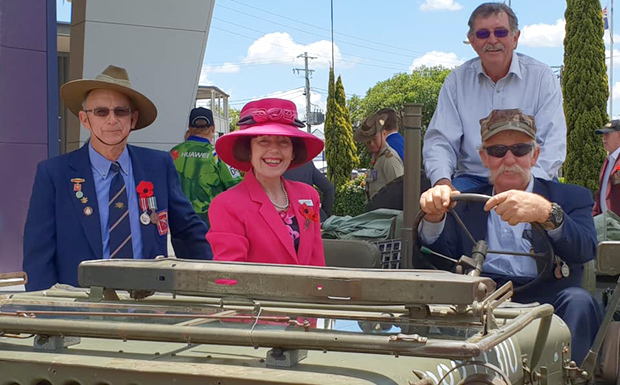 Nanango held three days of activities to mark the Armistice Centenary, beginning on Friday night with the launch of historian Liz Caffery’s book “The Memory Tree”. 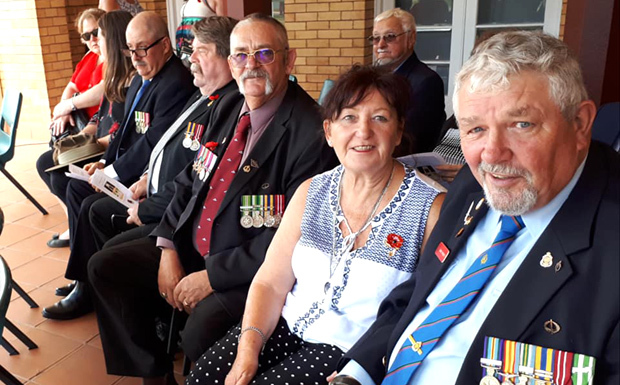 This was followed on Saturday night with an Armistice Centenary Ball at Tara’s Hall, and then a traditional Remembrance Day service on Sunday at the Drayton Street War Memorial organised by members of the Nanango RSL Sub-Branch. 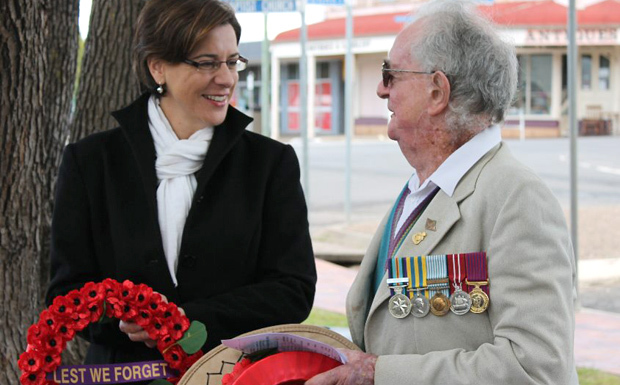 Agriculture Minister David Littleproud and Opposition Leader Deb Frecklington were special guests at this year’s service. 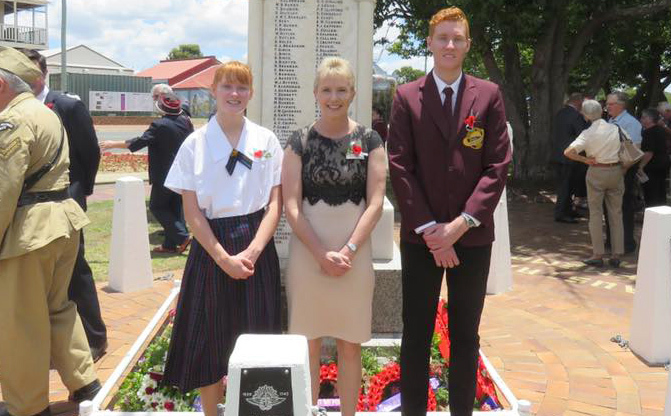 Division 1 Cr Roz Frohloff and student leaders from Nanango State High School were among the many people who laid wreaths to honour the fallen. 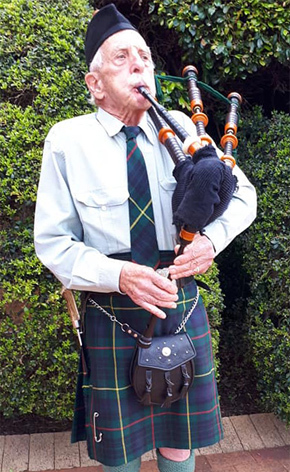 Wondai’s Remembrance Day commemorations followed a well-rehearsed format, with Gervie Fullerton performing piping duties. 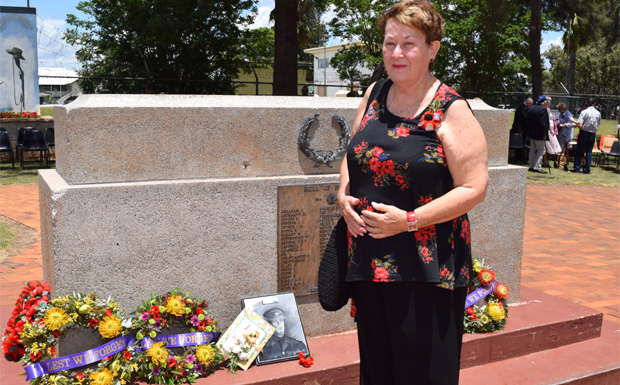 Cr Ros Heit laid a wreath on behalf of the South Burnett Regional Council, which joined others laid by members of the public who gathered at the War Memorial outside Wondai Town Hall. 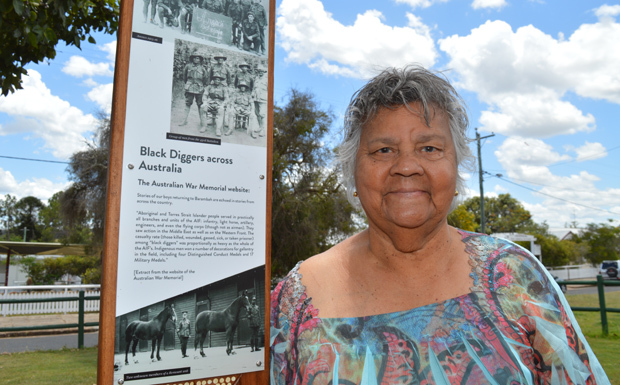 Afterwards, guests adjourned to the nearby Wondai Diggers Club for refreshments and fellowship.